The average monthly cost of care for Bristol Manor of California is estimated at $2,577. The California average for the same level of care is about $2,804. The average expense across Missouri is around $2,619, which is less than the nationwide estimate of $3,434. Bristol Manor of California is located in California, Missouri. Their facility provides senior living in a caring setting. The neighborhood surrounding this community has an average population density, with approximately 7,714 residents in the zip code. It is a generally average income area, with an average family income of $44,522. They are centrally located, with health care facilities, retail shopping, and religious services all in a close distance. There are many medical offices within a short distance. There are 18 churches within four miles, including Church of God of Prophecy, St Paul's Lutheran Church, Church of Christ In California, and First Baptist Church. There are also 4 drugstores within a mile of the facility. 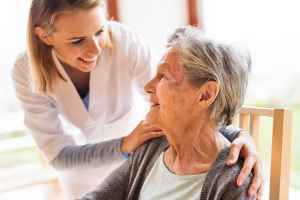 Bristol Manor of California can provide many types of senior housing, including nursing home care, assisted living, and independent living. 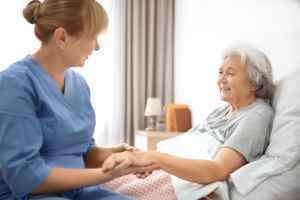 They can provide care for residents who are severely ill and need help with daily activities and who must have regular access to healthcare services. They can also accommodate residents who need help with daily chores such as preparing food, bathing, and housekeeping, but who are able to move around and are somewhat independent. In addition, they can offer care to seniors who are independent and self-sufficient but also want a worry-free lifestyle that includes on site maintenance, housekeeping, and social activities. This provider boasts assorted personal services including dry cleaning service and a staff available 24/7. Additionally, they provide a selection of medical services that include assistance with personal care, nurses on staff, and help with medication. Finally, they provide different recreational activities like arts and crafts projects and general communal interactions.